Thank you for your interest and concern for NJ's future in farming! 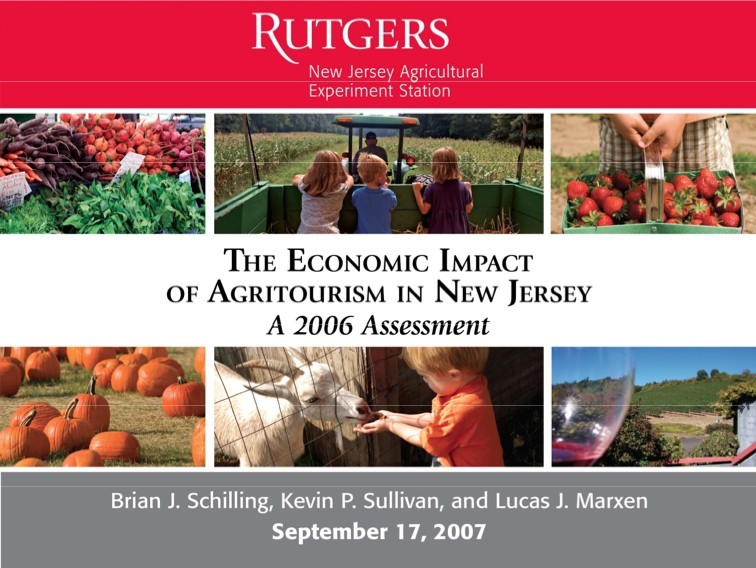 Local advocacy and support for NJ's agritourism trends is an essential ingredient to more progressive farming policies. Download the Rutgers Study Now!